Save the Date! We are excited to announce this year’s Spring Casual Event, which will be held on April 12th at Tin Cups. Sponsorship Opportunities will be available soon! Come join us for a more interactive conversation on this subject at our annual Parent Education Night, which is scheduled for 5:30 pm on January 24, 2019 in Eaton Hall. You will learn how to foster 5 essential social and emotional skills at home. Please see the attached flyer for more information. Hats off to Mrs. Cragar, Mrs. Buergler and all of their Kindergarten students for hosting our PK4 students this week for A Day in K. A fun time was had by all!! Order springtime spirit gear from Spirit & Pride and support TES Student Council! These shirts ARE approved for wear on TES Spirit Days. Check your Friday Folder for an order packet or order online at https://www.spiritandpride.com/ using our school code #122688. The paper form can be turned in to the office no later than Tuesday, January 22nd. Online ordering is open until February 8th. Check payments should be made out to Sprit and Pride and not Trinity. Are you interested in your daughter becoming a girl of courage, confidence, and character? Does she love the outdoors, singing songs and being silly? If so, you have a future Girl Scout in your house! 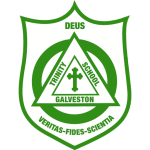 Girl Scout Troop 26045 will be hosting a try it night at Trinity Episcopal Church in Eaton Hall (enter off the Garth on 22nd street) on Tuesday, January 22 from 5:30-6:30 pm for girls in Kindergarten-5th grade. Come sing a song, do a craft and learn a little more about becoming a Girl Scout. Please note that this is not a drop off event. A parent must be in attendance. We look forward to meeting our new sister Girl Scouts. For more information contact Heather Nielson at hnielson@sjgs.org. YEARBOOK SALES – BUY NOW! The trinity Eighth Grade Yearbook Staff announces the official opening of sales for our 2018-2019 Trinity Episcopal School Yearbook. Sales this year will be conducted online at www.balfour.com/yearbooks Once at the website, enter our school zip code: 77550, and then scroll to find our school name. You can order Yearbooks, Yearbooks with personalized names, and Ads – Tribute and Business. Remember, the yearbooks have SOLD OUT for the past two years, so order yours today! YEARBOOK PHOTOS: We need your help! Our photographers are “out and about” at most of the school-wide events but we know that so much happens inside of your classrooms and on your individual class excursions. Please help us by taking those photos you have accumulated on your phone and uploading them to the Trinity Yearbook Balfour Site. Students are starting to work on your grade level pages and want more pictures. This is a way to make sure all that you do this year is covered in our yearbook. Please plan to join us for the State of the School address on Tuesday, February 12th from 6:00-7:00 pm. Wine and cheese will be served. CLICK HERE to shop at AmazonSmile and Amazon will donate to Trinity! Support us every time you shop! Click HERE to donate to the Annual Fund through Paypal. PK3 & PK 4 will visit the Grand Opera House on Thursday, Jan. 24th to see Diary of A Worm.  Please have your child wear a Trinity t-shirt or Trinity colors. Congratulations to Dominick Templeton and Anneli Kucera for being selected as Trinity 5th Grade Ambassadors! They did a superb job helping make this year’s Kindergarten Round-Up a great success! Also, see GeoBee info below. Trinity hosts the annual National Geographic Bee! This week in classrooms, students in 4th-8th grade competed in the preliminary round of the National Geographic Bee. The top two scorers from each grade have advanced to our school-wide GeoBee, to be held this Wednesday, January 23rd at 2:00 pm in the MAC. Parents and family members are welcome to attend this event, but are asked to abide by the following rules: no video recording of the GeoBee is allowed at any time. Parents wishing to attend the Bee must check in at the main office first. Spectators are asked to remain quiet and respectful for the duration of this event. This event is not suitable for small children. Come cheer on the chargers for our last home Basketball game of the season! The Trinity Chargers will take on the Arcadia Lions on Wednesday, January 23rd in the MAC. Girls play at 4 p.m. and Boys A team plays at 5 p.m. Go Chargers! Coach Johnson will be hosting a SPARQ Camp for students interested in working with Speed, Power, Agility, Reaction, and Quickness. Grades K-8 are welcome. Sessions will be 3-4 pm on Fridays. All participating students will join the Extended Day group at 3:00 pm dismissal and will go with Coach Johnson from there. Pick up your student at 4:00 pm in the MAC with Extended Day. It will be a FUN experience regardless of age with a variety of drills! COST: $35 for all 4 sessions or $10 per session. Please make payment to TES and reference SPARQ Training. What is the deadline to re-enroll for 2019-2020 at Trinity? LAST WEEK: The first bakery in Texas was opened in 1938 by Christopher Fox. Fox’s bakery was located on a water lot near 20th Street on the harbor behind where the Hendley Building stands today.